Ontario Premier Kathleen Wynne would do well to remember who owns the assets of the province's jointly trusteed public pension plans, the President of the Ontario Public Service Employees Union said today. "The current dispute between the Government of Ontario and Auditor General Bonnie Lysyk over accounting practices is not just a paper war," Thomas said. "It's a fight over who owns billions of dollars earned by workers and invested on their behalf. "I'm telling the Premier right now: the money in those plans belongs to plan members. It is not hers to play with." Thomas said he "unequivocally supports" the Auditor General's position that surpluses in plans like OPTrust, the pension plan for 87,000 current and former OPSEU members, are not government assets because the government does not "control or have unilateral access to those funds," as Lysyk wrote in October 2016. "OPTrust and other public sector pension plans exist for one reason, and one reason only: to provide people with the means to live decently in retirement," Thomas said. "That money is not there to pay for Liberal boondoggles or pay off Liberal deficits." 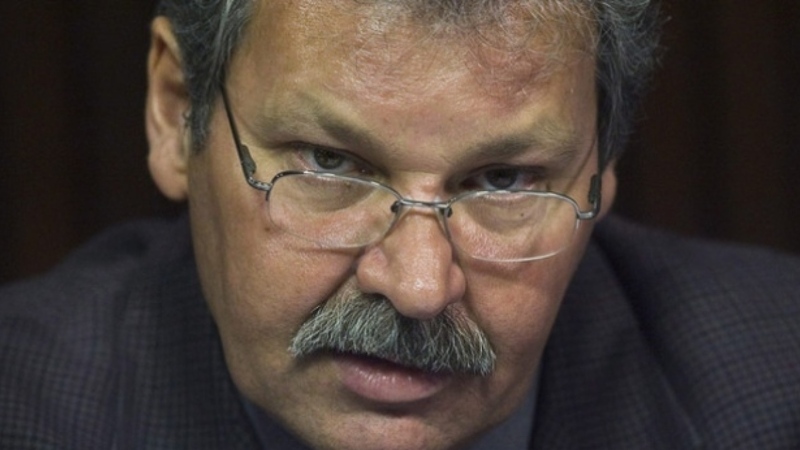 Pension surpluses are invariably temporary and are a necessary part of pension plans' long-term planning to ride out market downturns, the OPSEU President said. He expressed concern that the government's recent appointment of an expert panel to back its views on accounting rules was "step one in a two-step dance." "My fear is that the Liberals will try to move money out of public pension plans to help wipe out the provincial deficit in time for the 2018 provincial election," Thomas said. "I'm calling on the Premier to come out and say she won't." The average retired OPTrust member is 70.2 years old and earns a pension worth $20,868 a year, according to the plan's 2015 annual report. OPTrust members work in the Ontario Public Service, at the Liquor Control Board of Ontario, and at other agencies of government. It seems like my last comment on Ontario Liberals' newfound love for pension assets touched a nerve and resonated with OPSEU because all of a sudden I noticed almost 7000 people visited my site today to read that comment (my highest hit ratio ever!). Is Warren (Smokey) Thomas right to sound the alarm? Damn right he is and I'm surprised the Ontario Teachers' Federation hasn't put out any press release on its website yet voicing its concerns. When you read my last comment carefully, you will realize the pension asset advisory expert panel report was nothing more than a sleazy political ploy to rubber stamp the Ontario Liberals' decision to go ahead and claim pension assets and surpluses to balance the budget. And regardless of one's ideology -- and I'll openly admit I'm fairly conservative in my economic views but a staunch defender of public and private defined-benefit plans -- this move should concern a lot of Canadians because once governments start claiming pension assets as rightfully their own to balance books, it's a slippery slope than can easily devolve into appropriating pension assets regardless of what the laws state. More worrisome, it gives the wrong impression that Ontario's government is fiscally prudent when in reality it's clearly not. Do you think Fitch, Moody's or Standard and Poors will accept that Ontario has a balanced budget if the the government goes ahead to claim pension assets to balance its books? Of course not and if they do, they're dumb as nails. And if the government can't fool the ratings agencies, then that means higher borrowing costs for Ontario down the road and higher taxes as well to make up for the government's fiscal imprudence. In my last comment, I said all this reminds me of the heyday when corporations were using defined-benefit pension assets and surpluses to pad their books and increase their profits. All that changed when interest rates plummeted to record lows and pension liabilities soared to record highs, prompting many corporations to shed their DB plans and replace them with crappy DC plans. My worst fear is that if Ontario goes through with this, it opens the door for other provincial governments to start emulating it, using pensions to balance their books. And then what? The federal and provincial governments will use the Canada Pension Plan to balance their books? This might seem like a stretch now but you never know what can happen in the future. I strongly believe in a fundamental principle of good pension governance, separating governments from pensions altogether. Governments shouldn't meddle in pensions in any way, shape or form. Once they do, they end up severely weakening them, and this opens the door to pension seizures down the road. And Smokey Thomas is right: "I'm telling the Premier right now: the money in those plans belongs to plan members. It is not hers to play with." OPSEU's members worked decades to earn a modest pension (an average of $21,000 a year) during their retirement. The last thing they need to read is that the government is using their pension assets to balance its shaky books. For years, provincial governments never dared to use public sector pension assets to balance their books. Let's keep it that way. An auditor general is a pillar of democracy and accountability. Across Canada they are cult heroes, calling out incompetence and corruption in government. But even a watchdog can lose the scent — and bark up the wrong tree. Or worse, miss the fiscal forest for the trees. For the job requires not just independence but context. To be truly credible, an auditor general must fearlessly expose government boondoggles but also fess up to her blunders. Ontario’s auditor general, Bonnie Lysyk, has been calling out government waste and wrongdoing for years. But she is getting bogged down in battles that stray from generally accepted accounting principles, wandering into uncharted territory and making it up as she goes along. Now, she has been caught out in a $10.7-billion miscalculation. This is not an arcane accounting exercise. If the auditor refuses to revise her opinion, it could potentially raise our borrowing costs at the expense of all taxpayers. In an unprecedented rebuke, an outside panel of independent experts — top specialists in accounting, actuarial and pension standards — reviewed the auditor’s work and found it wanting. Their verdict, released Monday, is that she was dead wrong to demand the government deduct all those billions from the books. Lysyk’s lack of diligence — now overdue — is a damning indictment of an auditor gone awry. Her mistake was to conclude that the government’s share of ongoing surpluses in two jointly sponsored public pension plans could never be counted as budgetary assets. She argued that any pension deficit would, of course, count as a liability on the government’s books but not the reverse. This was a 180-degree reversal of the previous auditor’s ruling in 2002 that the Progressive Conservative government of the day could count any surplus as an asset. Oddly, Lysyk dropped her multi-billion-dollar bomb ahead of the spring budget deadline, set by the Liberals long ago to eliminate the deficit — putting them in an awfully awkward spot with a 2018 election looming. It’s difficult for any sitting government to take on an auditor’s godlike status directly, so the Liberals assembled a four-member outside panel of unimpeachable expertise. It is led by Tricia O’Malley, a member of both the Canadian Accounting Standards Oversight Council and Canadian Actuarial Standards Oversight Council (which she formerly chaired). Her panel reviewed Lysyk’s analysis, considered the counter-arguments of civil servants, and reached its own conclusion: Of course a surplus counts as an asset. Not because the government can plunder a pension fund at will — it can’t. But a surplus gives an employer the option to reduce its contributions in future years — provided there’s enough money to go around (bearing in mind that governments don’t go out of business, so there is no real risk of pension depletion). Not counting that surplus as an asset would be a distortion of the government’s true financial picture, the panel concluded. Experts at OPTrust, one of the joint pension plans with a surplus, reached a similar conclusion last week. Yet Lysyk is sticking to her stance — so far. On Monday, her office announced she wouldn’t make any comment until further notice. Yet she has been sitting on their report for more than two weeks, and received an advance briefing from the panellists. When I contacted Lysyk for a column last week on the panel’s findings, she remained unequivocal: “We did our homework,” she insisted. But she failed the real test. O’Malley told reporters Monday that her panel also did its homework, and that the auditor’s office was caught off guard when more extensive international accounting rules were brought to their attention. This is the latest in a long line of questionable judgment calls by the auditor. The difference, this time, is that her bad call was called out by the equivalent of a videotape replay — a de facto audit of the auditor. Much of her office’s work provides valuable oversight of a sprawling, $134-billion government. But she overreaches too often — conducting opinion polls as proof points to her populist positions, defying the laws of economics on electricity pricing, or demanding more power to meddle in government advertising — undermining her credibility and independent judgment. An auditor general can enjoy godlike legitimacy in Canada. But independence isn’t infallibility — not when the numbers don’t add up. Interesting how Cohn brings up this point: "This was a 180-degree reversal of the previous auditor’s ruling in 2002 that the Progressive Conservative government of the day could count any surplus as an asset. Oddly, Lysyk dropped her multi-billion-dollar bomb ahead of the spring budget deadline, set by the Liberals long ago to eliminate the deficit — putting them in an awfully awkward spot with a 2018 election looming." Cohn is implying the auditor general is playing politics with her stance. He seems to accept the use of pension surpluses as a government asset. He also accepts the wisdom of the expert panel without any questions or concerns and openly questions the competency of Ontario's auditor general, stating she "overreaches" and goes on fishing expeditions which undermine her credibility. In any event, as indicated in my attached counter-proposal to Bill C-27 that I recently presented to the C.D. Howe Institute's Pension Policy Council, federal and provincial pension legislation needs to be amended for Defined Benefit (DB) pension plans at least in respect of contribution holidays, which are a sure recipe for financial disaster as they unduly increase pension costs exclusively at the detriment of plan members. As per my proposed financing policy for DB plans, any emerging pension surplus would remain in the pension fund but would be amortized over 15 years through a consistent small temporary (i.e. until a deficit emerges) reduction in the contribution rate to be split between members and the plan sponsor in accordance with the applicable pension cost sharing. I thank Bernard for sharing his views with my readers, he has always been a voice of reason and is definitely one of the leading experts on pension policy in this country. One final note, you will notice HOOPP was not part of these discussions. That is because HOOPP is a large, well governed and well managed private DB plan serving Ontario's healthcare workers. I always thought HOOPP should be a public sector plan but after seeing the nonsense, maybe they're smart to keep it private and out of the provincial government's reach. Below, an older (2012) interview with Warren "Smokey" Thomas, president of the Ontario Public Service Employees Union. Back then he was discussing the the 2012 Ontario budget, the Drummond Report, and the state of the Ontario labour movement. My advice to Smokey is where there's smoke, there's fire, so keep hammering away on the Liberals and their newfound love for Ontario's pensions. Get ready for Ontario's brewing pension war.